Amy Friedlander Hoffman is the Head of Business Development & Experiential Marketing at Uber. Before joining Uber, Ms. Friedlander Hoffman founded Priority Digital Media, and served as the Senior Vice President, Programming of AT&T Operations. At AT&T Ms. Friedlander-Hoffman oversaw interactive programming and convergence for Project Lightspeed, the initiative to expand the fiber-optics network deeper into neighborhoods to deliver AT&T U-verse TV, AT&T Yahoo! High Speed Internet, U-verse Enabled and, in the future, voice over IP services. Preceding AT&T, she headed a strategic consulting practice, Xanthum Partners. She served as General Counsel and Senior Vice President of Business Development at Intertainer. Ms. Friedlander-Hoffman was responsible for negotiating content agreements with the major studios and programmers, distribution agreements with cable companies and telcos, and general technology ventures. In the Business Development role, she was responsible for international development and led her team to implement Intertainer's strategy related to content distribution and software services. Prior to her tenure with Intertainer, she practiced corporate law at Gibson, Dunn & Crutcher in Los Angeles. 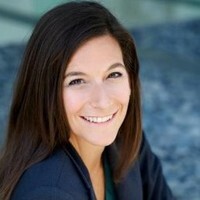 She serves as Director of Rovion, Inc.
Ms. Friedlander-Hoffman holds a JD from the University of Chicago and a BA with honors from the University of Michigan.